Let’s face it, as incredible and fun as being a parent is – sometimes it is just, well… hard. And although we would all love to be the perfect mom or dad that can do everything perfectly all by ourselves – the truth is quite the opposite. Raising children comes with a never-ending list of challenges that we are expected to master – from cleaning up messes, to detangling barbie doll hair to trying to get your little one to sleep at a normal hour. However – thanks to social media – parents are now sharing their own hacks and techniques with other moms and dads all over the world. From how to stop sticky popsicle drips in their tracks to how to baby proof on a budget – these tips are certain to make your lives easier. Any parent who has more than one kid knows how difficult long – or even short – road trips can be. All it takes is one small disagreement, like what music to put on or what movie to watch, and it can quickly turn into fighting, throwing things, pulling hair – you get it. While the occasional sibling back seat feud is bound to happen, it can actually be extremely dangerous, causing the driver to turn around and get distracted. 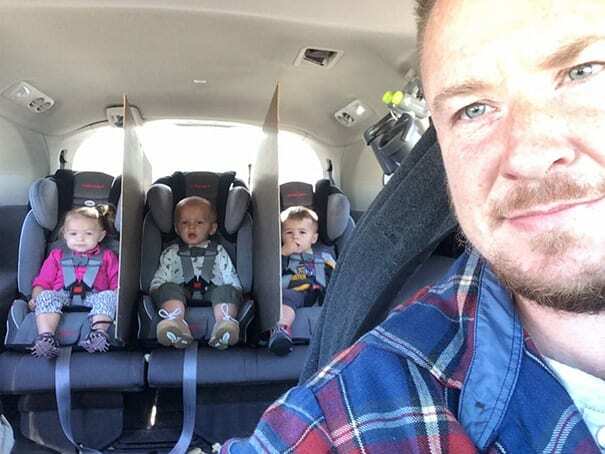 This dad of triplets had enough with these car fights and found a clever way to put an end to them. Well, if they can’t see their brother or sister next to them, then there is nothing for them to fight about right? Going to the beach should be a relaxing occasion – right? Well, going to the beach with kids – while it is definitely a lot of fun – tends to be a bit less relaxing. This is especially the case when you have little ones who want to not only play in the sand, but also eat it. 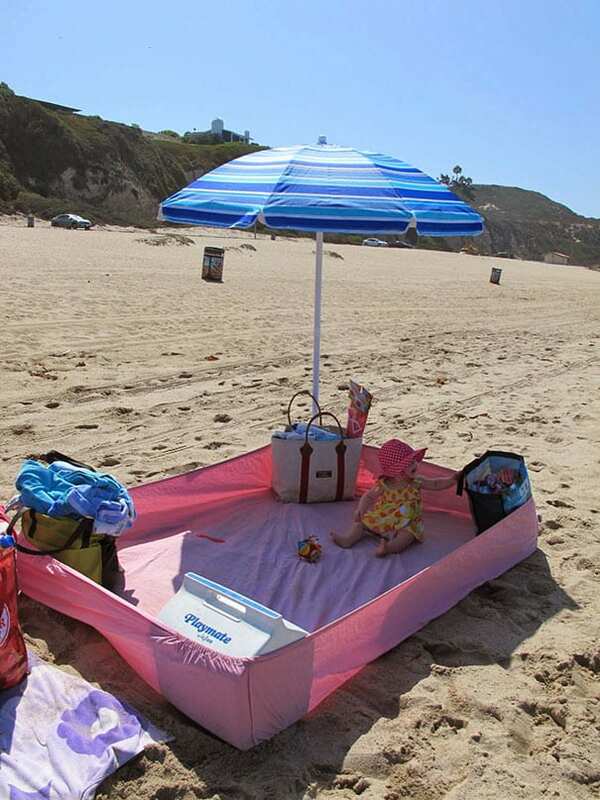 However, this parent seemed to find a great solution to this problem by using a fitted bed sheet, some beach bags, and a cooler to create a great, safe environment for baby. Add a sun umbrella, bring some toys and voila – it is a perfect and well-shaded play area. Now mommy and daddy can sit back and enjoy the sun for a bit. When babies grow into toddlers, it is time to say goodbye to their crib and hello to their big kid bed. Don’t worry, there is no need to sell the crib or put it away in the basement just yet. Why not reuse it and make it into something that your now big boy or girl can use and enjoy? Whoever thought of this DIY table is really a genius. Just simply remove one side of the bed, and add some chairs and you have yourself a pretty nifty table perfectly-sized for your toddler. 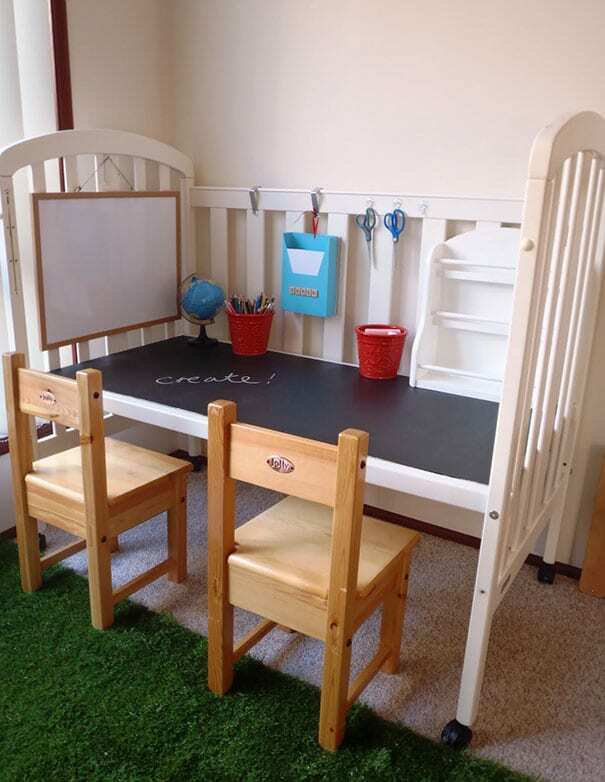 You can add a white board, a shelf, some hooks – and if you are really feeling brave you can even make it into a chalk board! Let’s face it, we all have a secret bag of candy located somewhere in the house, stored away for a rainy day or just whenever your kids aren’t looking. However, as your little ones get older, storing sweets away in a high above shelf just might not cut it anymore. Not to fret, there is still hope – you can always just trick them. 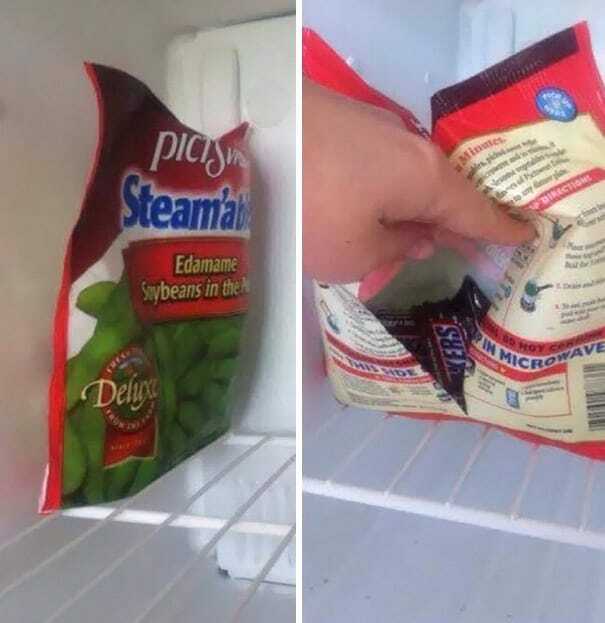 This parent deserves an award for this simple hack – just hide your secret stash of chocolate in an old bag of frozen vegetables in the freezer. Safe to say your kids will not be going anywhere near there – that is, unless your children are a fan of edamame. If you are a mom or dad, chances are you are familiar with the oh so dreaded “bed time routine.” Something that sounds like it should be simple, can seem like the longest two hours of your life. Usually when kids get back from school, they are either really tired, really hyper – or both. 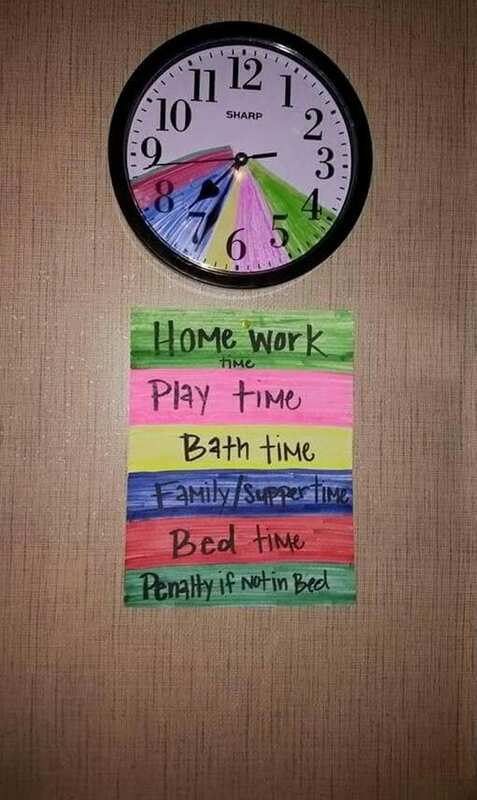 It can be difficult getting your children to do their homework, eat dinner, take a bath, and still get to bed at a reasonable hour. 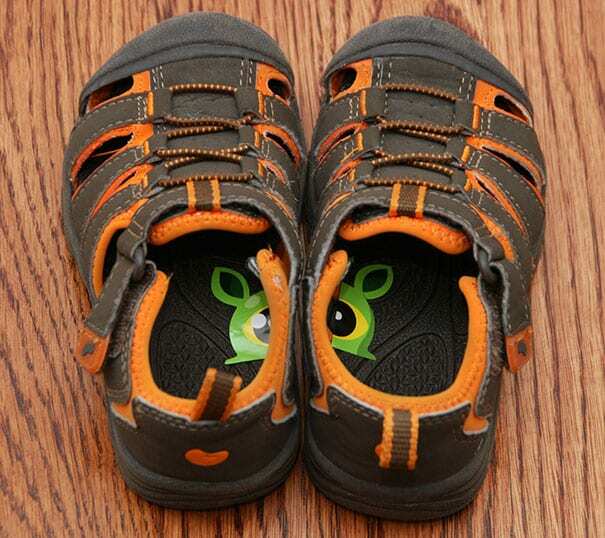 However, this parent found a smart way to make a bit of order after a long day at school and still get the kids to bed no later than 8:30 p.m.
One of the most common dilemmas when it comes to kids putting on their own shoes is knowing which is right and which is left. This mom or dad came up with a super adorable way to help your little ones put their shoe on the right foot. All you have to do is take a sticker, cut it in half, and place one in the sole of each shoe. This hack is both useful and fun! Do you have a child who is afraid of a monster under their bed or in their closet? 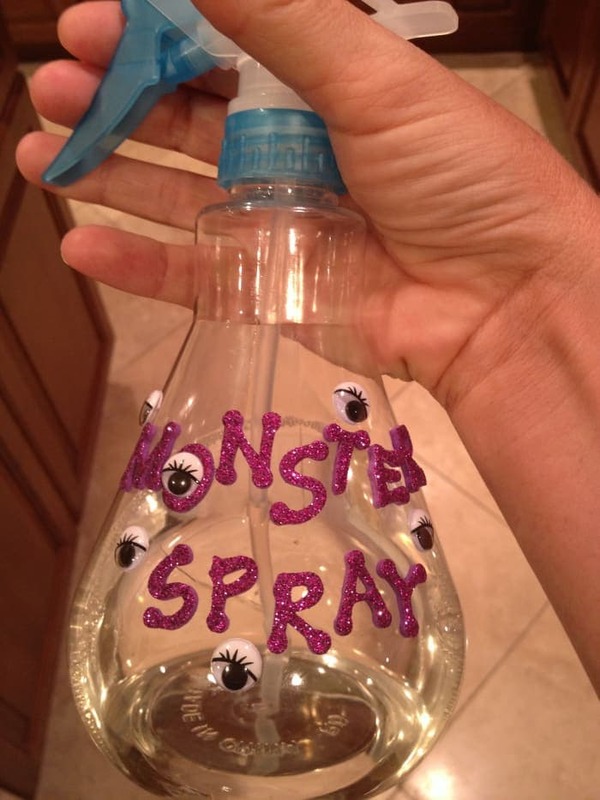 You can put their mind to rest by making your very own “monster spray.” It really is simple, just decorate an old spray bottle with some googly eyes, cute stickers of monsters, or whatever you can find in your kid’s craft drawer. Put some body or room fragrance inside and rid your kid’s bedroom from “monsters” before bedtime while also making their room smell really good! This affordable and super easy lunch cooler is a great way to keep your kid’s lunch fresh all day. Just put an ordinary dish sponge inside a plastic baggie and then store it in the freezer overnight. 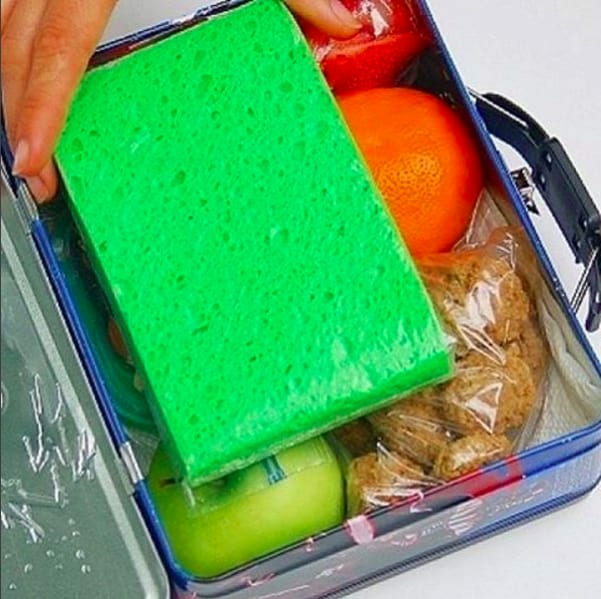 When it comes time to pack your child’s lunch box just put it right on top. It is guaranteed to keep the food nice and cool until it is time to eat. Use bright colored sponges to make it even more fun. If you have a kid at home who likes to play with dolls, then chances are you know what it is like trying to get the knots out of their hair only to make it look worse. 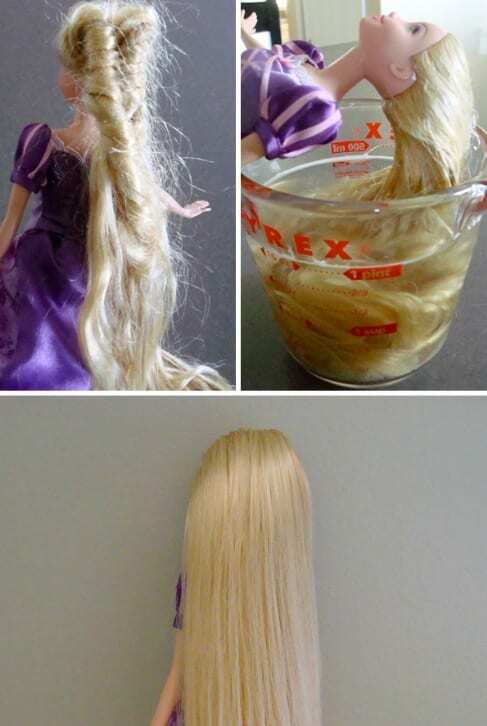 This parent found a perfect solution to get Barbie’s hair back to its original state. Make a doll hair detangler at home with just some dish soap and a dab of hair conditioner and Barbie will be looking like her old self in no time. Not only is this hack useful, it can also be a fun activity for kids. These DIY no-slip socks are adorable, and super easy to make. 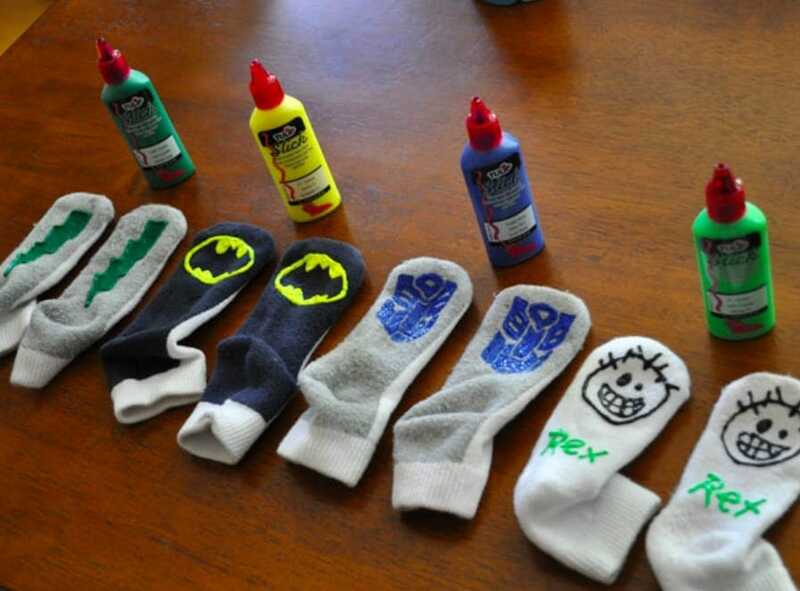 Just buy some different colored puffy paint and make all sorts of cute designs on the bottom of your kid’s socks. This is a great craft activity to keep kids busy on a rainy day in – and also a great way to keep your little ones from slipping in the house. Do you still have some old DVD’s hanging around the house? Why not turn them into fun coloring cases for your kids? 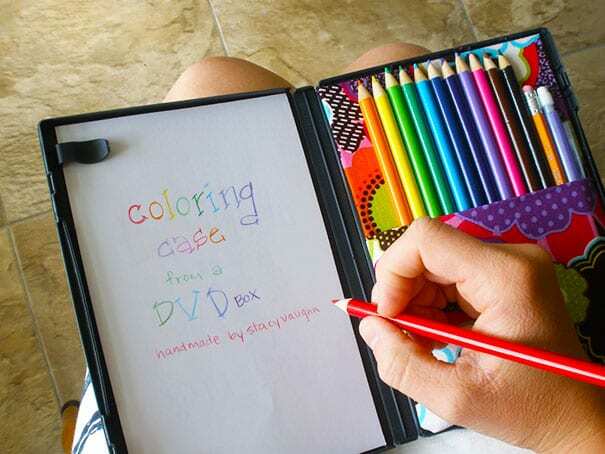 Glue some cloth together to create a nice holder for pencils, pens, markers, or crayons and put a few pieces of paper inside – and just like that you have a nifty and compact coloring station. The best part about these cases is that you can take them pretty much anywhere, and they are especially great for keeping your children occupied on long car rides. No need to spend a ton of money on expensive baby proof items when you can just make them with objects you already have at home! 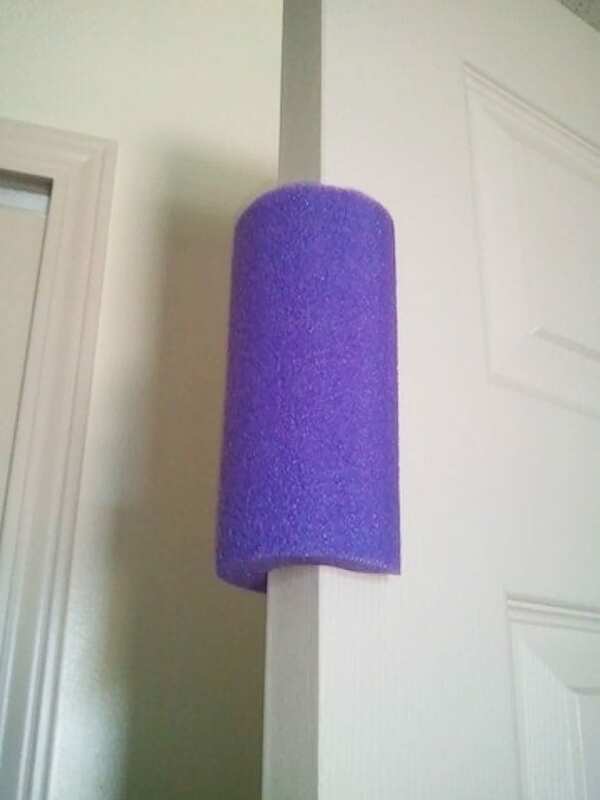 For example, this old pool noodle makes a wonderful door stopper. Just cut it in half and place it on the top of the door out of your children’s reach. This is a super easy and convenient hack guaranteed to keep those little fingers safe from accidentally getting slammed. What is it with kids and the desire to use a whole roll of toilet paper every time they go to the bathroom? 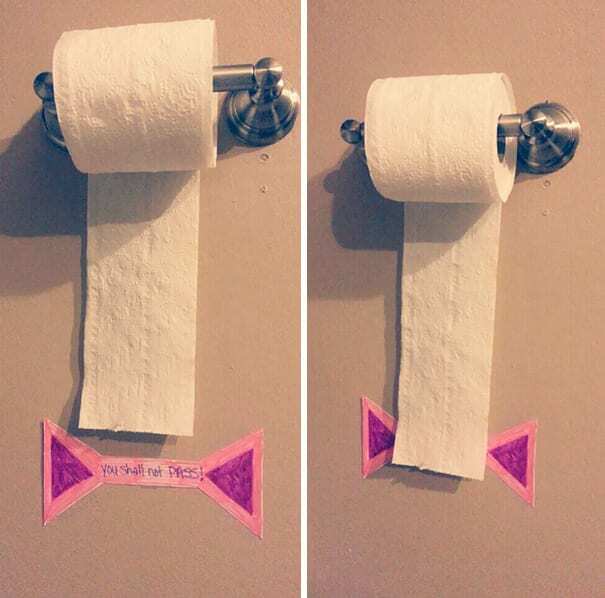 If you are sick of buying mega packs of toilet paper only to find it disappear within days – why not try this clever technique? 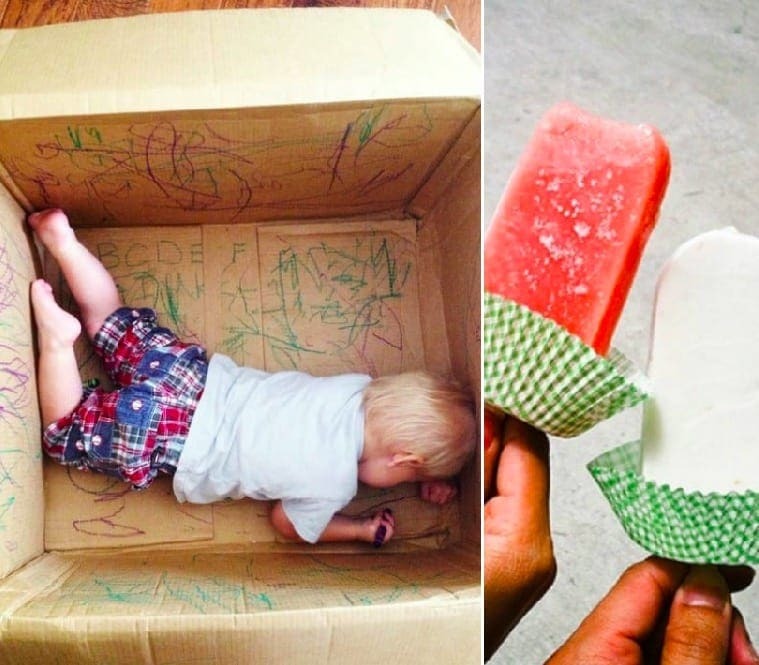 Sometimes something as simple as a cardboard box can keep kids entertained for much longer than any of their expensive toys, tablets, or video games. 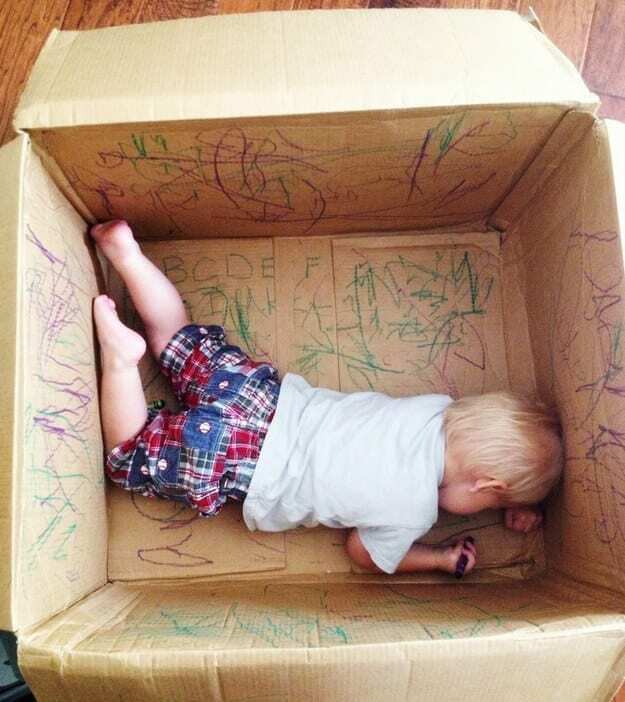 Keep your creative little ones busy by letting them color on – and inside – a large cardboard box. All you need is a box, some crayons or markers, and an energetic kid. Sit back, and watch as your children spend hours covering each section of cardboard with cute colorful drawings and scribbles. Whoever thought of this amazing trick definitely deserves some praise. 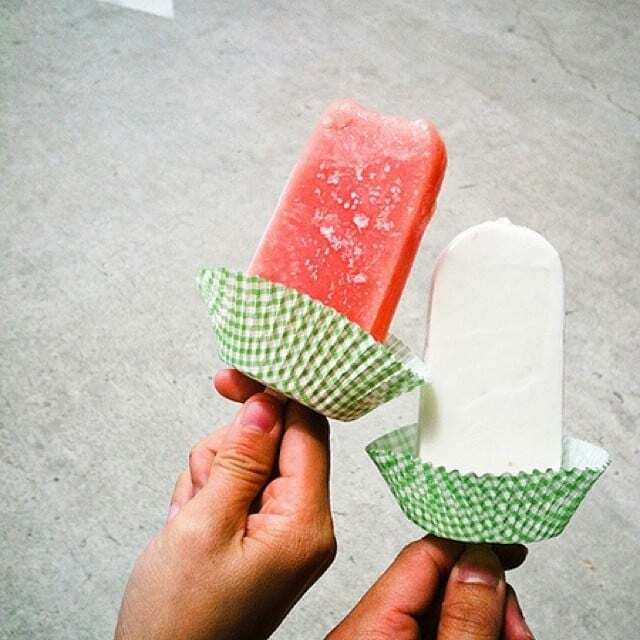 If you have kids who enjoy eating popsicles on warm summer days, then chances are you are familiar with the annoying mess that comes along with it. However, this parent has finally thought of the perfect solution to this common problem. All you have to do is place a cupcake wrapper through the bottom of the stick to create a little catcher that will keep the sugary water from getting all over your kid’s hands and clothes. Perfection!